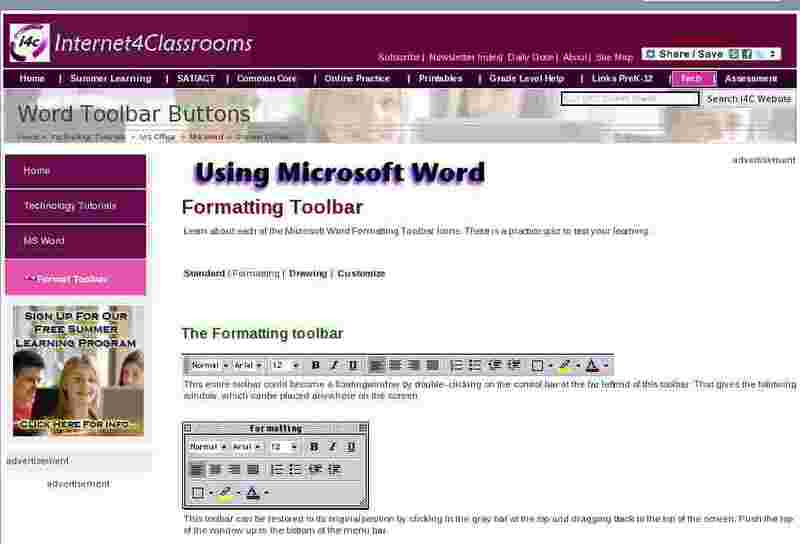 Learn about each of the Microsoft Word Formatting Toolbar Icons. There is a practice quiz to test your learning. You wish to call attention to a statement in your document by making the text bold. Which button do you select? A flyer is to be prepared inviting parents to a performance. You want the headline to be centered on the page. You want to make sure that your instructions are clear and plan to place them in a bulleted list. To call attention to a block of text, you want place a block of color behind the text to highlight it. Another way to call attention to a block of text is to place a border around it. A quoted block of text has been indented. You wish to continue the document but you need to undo the indent. You have made a birthday certificate and you want the student's name to be displayed in color.